The selfie trend is a big one right now. Businesses know it is a great way to evaluate something. Whether you choose to evaluate yourself, a product, or a service, a selfie can help take a deeper look. "Homeselfe is a free app that evaluates your home’s energy efficiency to help you save on utility bills." One of the first way's I feel like I learned to be more energy efficient was through my light bulbs. When, I was a single living on my own, it was through changing my light bulbs to the energy efficient one's that I started leaning the small ways I could make a difference for my planet. Then further on, I started looking at it from a different angle. It wasn't until getting married and having children which I transformed into this tree-huggin hippie, caring about how everything affected everyone else! Now that we are finally in a new home, we are finally able to start working on "Growing into Green". The house we purchased is an old farm house that while it has been updated still needs quite a bit of work. With the help of a brand like Homeselfe, I know anything is possible AND within reach. 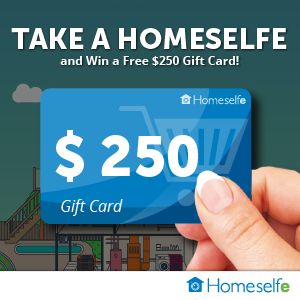 "Homeselfe creates a digital mock up of your home and provides a questionnaire you can answer at your own pace." Homeselfe is a free service which helps homeowners have a better understanding of their homes energy use and how to improve based on their individual needs. That was pretty extensive so I feel that they are looking at the full picture. I had a very good rating, which is good! I learned by having this app the Homeselfe will be able to help and teach me where I can save money from my utility bills. That was confusing so I am not sure what I learned other than they would help me save money which is always a good thing.